Summary: When it comes to developing star employees, you need to make sure that you are not playing favorites. We provide you with some ways to do that. It seems if you have a chocolate factory by your home you are more likely than not to consume it. At least that is the result of a study by Leatherhead Food Research that looked at which countries consume the most chocolate. 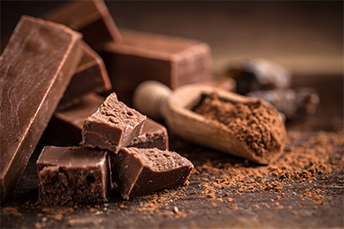 As you might guess, Switzerland came in first (Nestle, Lindt) with a whopping 11.9kg of chocolate per capita consumed (about 240 bars of chocolate) per year. It was followed by Ireland (9.9kg), UK (9.5kg), Austria (8.8kg) and Belgium (8.3kg). The US ranked #15 at 5.5kg. No matter what foods you like to consume, it is important for bankers to be discerning to stay healthy. This is also important when it comes to interacting with or managing employees. People are human so we all tend to gravitate to those with similar interests and personalities. When it comes to developing star employees though, you may need to validate that you are not playing favorites. Recognizing the potential damage favoritism can do is a good way to start treating your reports even-handedly. Understanding the benefits of fairness also helps. Spread professional opportunities around to diversify your HR investments. When your dream team is tiny, it also limits what you're able to accomplish. Giving everyone a chance to grow and develop in their work produces a larger team that can accomplish much more. This also expands perspectives and ideas, which can spur creativity and fuel professional and business growth. Think inclusively when you assign work. Ask yourself if you can add another role, even a minor one, to a project team. Give people things to do and ideally, tasks that will help them grow. Equitably hand out assignments. Keep track of who is doing what. Think about the staff member that took the lead on the last big project and assign the next one to someone else. Even something as simple as taking turns to lead weekly team meetings can help. Encourage employees to participate. Greet new ideas warmly in meetings, even if you don't ultimately implement them. You'll increase the chances that employees will feel free to offer more ideas at the next meeting. Look for commonalities. It's hard to dislike someone when you have a personal connection, so look for things you may have in common with others. Perhaps your children are around the same age or you are fans of the same sports teams. Cultivate conversations around these topics. Wear their shoes. Try to see situations from other employee points of view. When you can imagine how your actions make other people feel, you become a more effective manager. Double-check. Just as you check your hair in the mirror, getting an outside opinion on things from time to time can help you stay even-handed with the people you supervise too. Ask a colleague from another department to sit in on one or more of your staff meetings, or get feedback from a coworker who doesn't report to you, but regularly works with members of your team. This sanity check can help you and your team stay healthy. 1) BancorpSouth Bank ($17.2B, MS) will acquire Icon Bank of Texas ($794mm, TX) for about $145.8mm in cash (12%) and stock (88%) or about 2.2x tangible book. 2) First US Bank ($626mm, AL) will acquire The Peoples Bank ($155mm, VA) for $23.4mm in cash (90%) and stock (10%). 3) Premier Bank ($1.5B, WV) will acquire First Bank of Charleston ($189mm, WV) for about $33mm in cash and stock. 4) Four bank holding company QCR Holdings ($4.1B, IL) acquire Springfield First Community Bank ($560mm, MO) for about $86.7mm in cash and stock or about 1.89x tangible book. 5) Five bank holding company Ames National Corp ($1.4B, IA) will acquire Clarke County State Bank ($111mm, IA) for about $15mm in cash (100%). 6) WesBanco ($10.2B, WV) will acquire Farmers Capital Bank ($1.6B, KY) for $378.2mm in cash (10%) and stock (90%) or about 1.95x tangible book. 6) Royal Business Bank ($1.7B, CA) will acquire First American International Bank ($873mm, NY) for about $116.8mm in cash (29%) and stock (71%) or about 1.86x tangible book. Wells Fargo will pay a $1B fine ($500mm in civil money penalties to the CFPB and $500mm to the OCC) to settle allegations it improperly charged fees on mortgage rate lock extensions and force placed insurance on auto loans. The penalty is the largest ever issued to a bank by the CFPB. JP Morgan CEO Dimon doesn't believe a US recession will happen this year or next due to signs of growth, such as higher wages, low housing supply and positive effects from tax and regulatory reforms in addition to global growth.